This Sept. 19, 2017, file photo, Israeli Prime Minister Benjamin Netanyahu speaks to world leaders at the 72nd United Nations General Assembly at U.N. headquarters in New York City. The startling turnaround drew heavy criticism from Netanyahu's opponents and raised questions about the embattled Israeli leader's decision making processes. Dozens of migrants and their Israeli supporters protested the suspension outside Netanyahu's office in Jerusalem and government offices in Tel Aviv as he met with the neighborhood representatives. Some protesters stripped to the waist, draped themselves with chains and taped their mouths shut at a protest in Tel Aviv. Others waved signs reading "Human lives are not to play with. Yes to the deal." Protester Daniella Elyashar called on Netanyahu to "stop this political game." Another protester, Veronika Cohen, said "yesterday we were in tears of joy and this morning just in tears." "It is sad, troubling and even a little scary that decisions are made that way," Gabbay said. He accused Netanyahu of leadership based on polls and comments on social media. Ahead of Tuesday's cancellation, the UNHCR had urged Netanyahu to proceed with the agreement. "We remain in close touch with the prime minister's office and we continue to believe this is a win win agreement," said UNHCR spokesman William Spindler in Geneva. "It benefits Israel, the international community and people needing asylum." 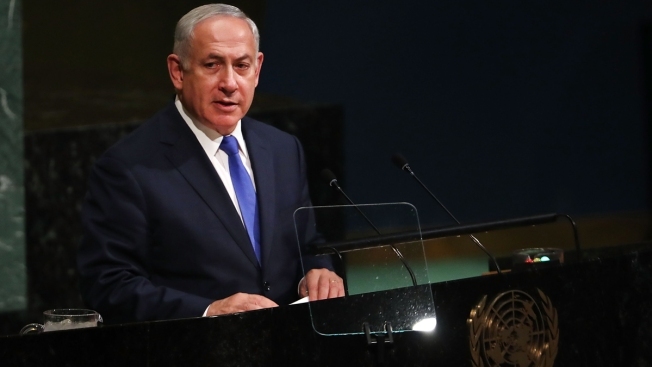 Writing in the Yediot Ahronot newspaper, Sima Kadmon noted Netanyahu's decision "lasted for just six hours and 45 minutes" before "an important and courageous decision by the prime minister was trampled under the boots of the right wing divisions." Most of the African migrants are from war-torn Sudan and Eritrea, which has one of the world's worst human rights records. 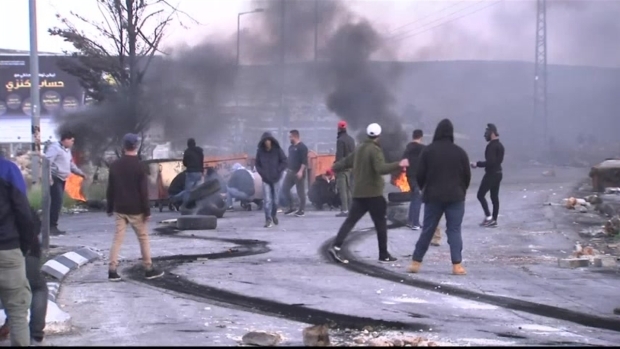 The migrants say they are asylum-seekers fleeing danger and persecution, while Israeli leaders say they are merely job seekers. Thousands of African migrants are concentrated in neighborhoods in south Tel Aviv, where ethnic food shops and phone card stalls line the streets, and the area has become known as "Little Africa." Their presence has sparked tension with the working-class Jewish residents who have put pressure on the government to remove the Africans. Residents complained the agreement doesn't address their needs and demanded assurances that remaining migrants will be dispersed around the country as promised. The prime minister's turnaround threw into limbo the surprise agreement, which had finally offered a solution to an issue that has divided Israel for a decade. The deportation plan had been widely criticized at home and abroad, even by some of Israel's closest supporters.